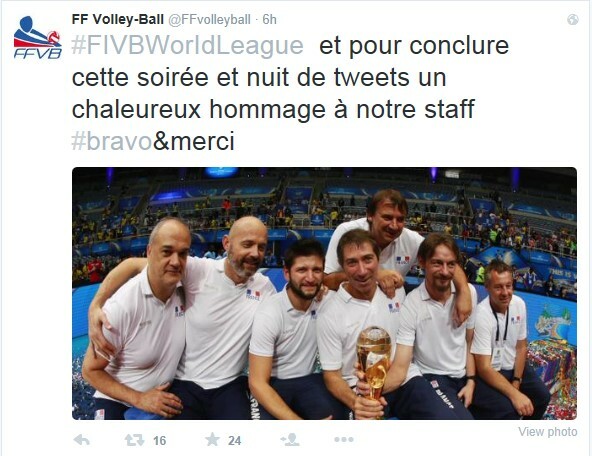 Lausanne, Switzerland, July 22, 2015 - When France's star smashers wrote a magnificent happy ending to their incredible volleyball fairy tale, even French president François Hollande congratulated them for their first FIVB Volleyball World League title. 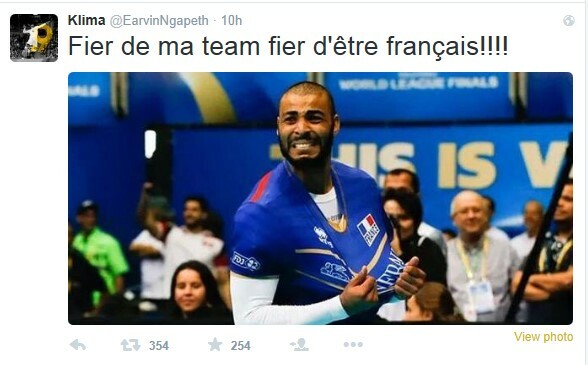 MVP Earvin “Magic” Ngapeth's team really had achieved something special. Just one week after their victory in Intercontinental Group 2 in Bulgaria, France had also won the Final Six in Rio de Janeiro and pocketed $1 million in prize money. No other team had ever won both Groups 1 and 2 before, and France became the eighth nation to add their name to the list of competition winners after Brazil (9 titles), Italy (8), Russia (3), USA (2), Cuba, Netherlands, Poland (1 each). On the way to the title, France claimed a sensational victory over the top team in the world ranking, hosts Brazil, at Rio de Janeiro’s Maracanãzinho, which will also host the volleyball tournament at the Summer Olympics next year. World Champions Poland were defeated 3-2 in the semifinals before a commanding 3-0 victory over Serbia in the final. “It was the match that brings a real fairy tale to an end. There really is a sense of satisfaction and pride for this team, for previous generations, for all the people who have this passion for volleyball, who did not dare talk about volleyball because there had never been a title,” said France coach Laurent Tillie. 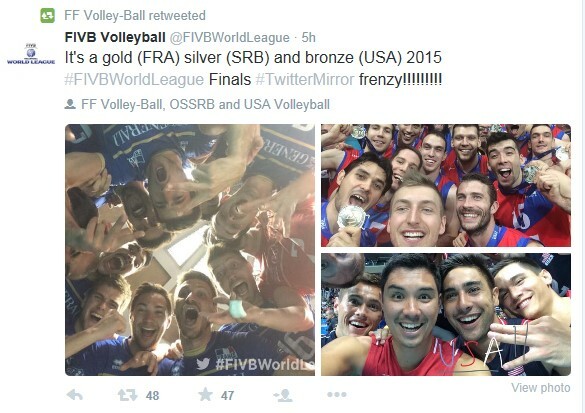 France ahead of Serbia and reigning champions USA – an unexpected final result for the show of strength between the top volleyball teams in the world. The success was also the result of work done by head coach Tillie's support team, which did all it could to support the players. Antonin Rouzier was France's outstanding scorer this season with 251 points, Benjamin Toniutti passed brilliantly as a setter, and Earvin Ngapeth brought a necessary level of unpredictability to the game. The latter two players also made it into this year's FIVB World League Dream Team. Earvin Ngapeth, whose parents named him after the famous basketball player Earvin “Magic” Johnson, received the MVP award. “Klima” Ngapeth, who is also a talented musician, was proud of his team and his home country.